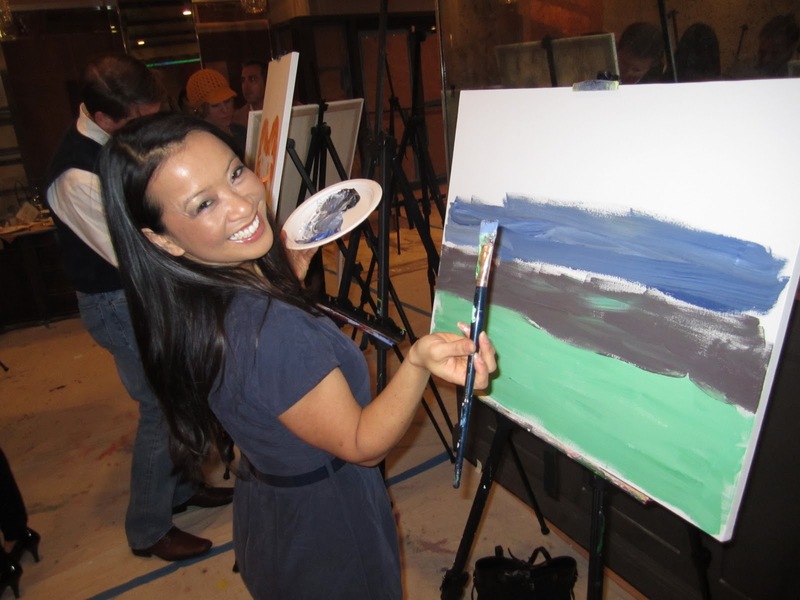 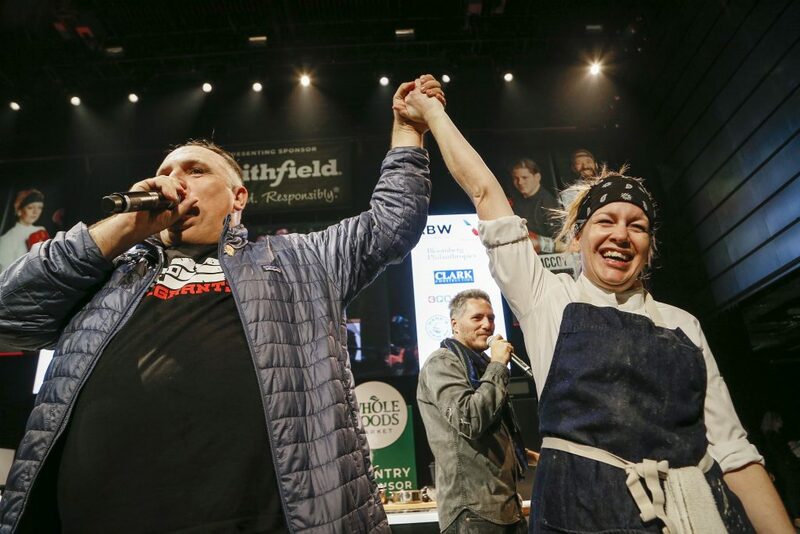 DC Central Kitchen held its signature fundraising event, the Capital Food Fight™, earlier this month (11/8/18). 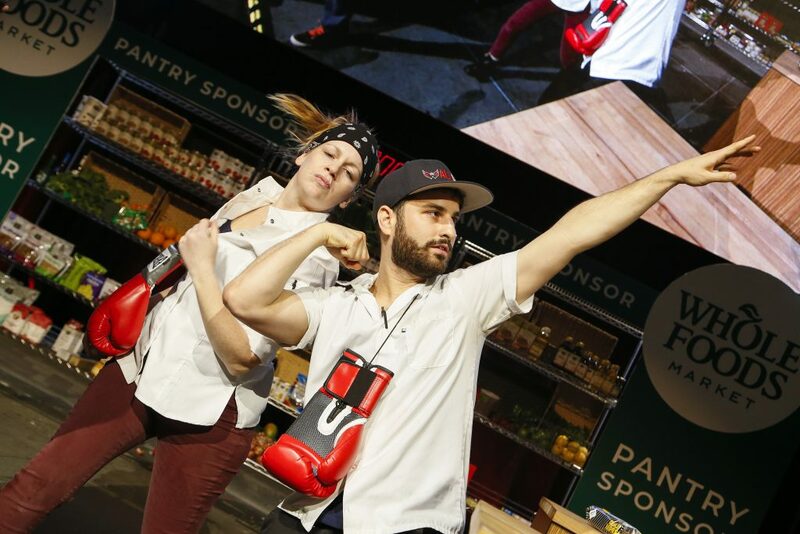 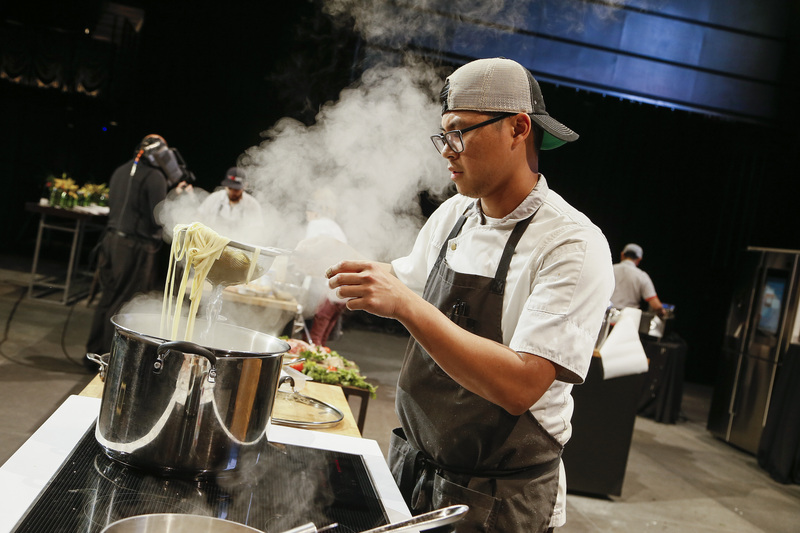 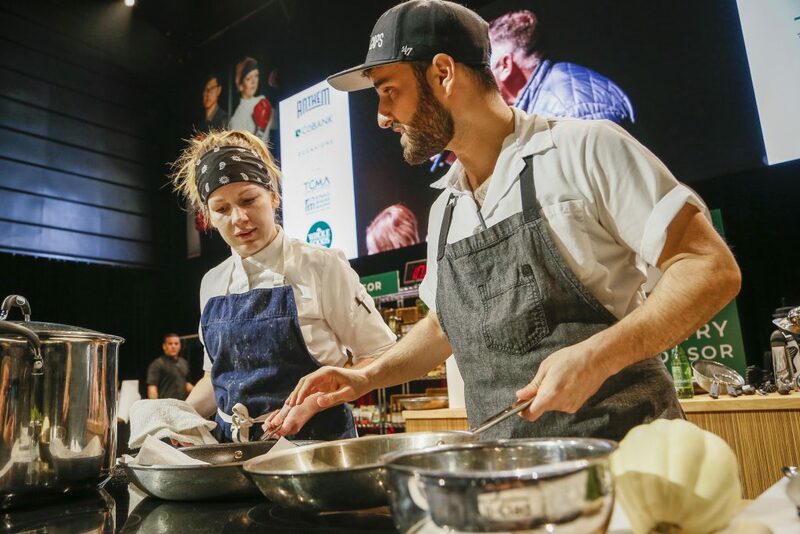 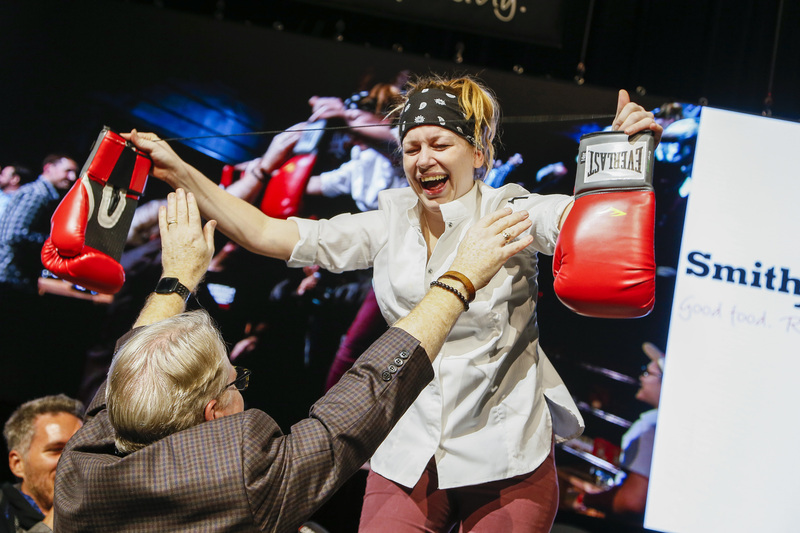 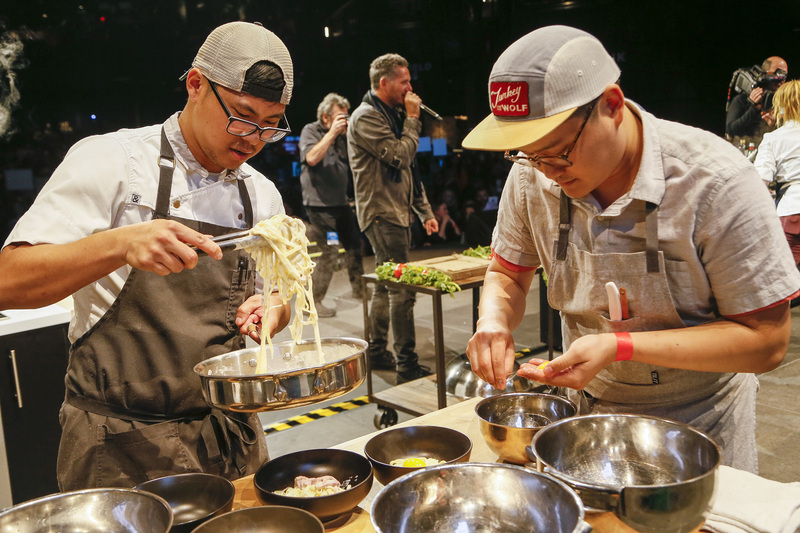 Over 1,200 guests came together at The Anthem at The Wharf to taste offerings from 80 of DC’s best restaurants while watching four local top chefs compete in a live onstage battle hosted and judged by some of the biggest names in the culinary world. 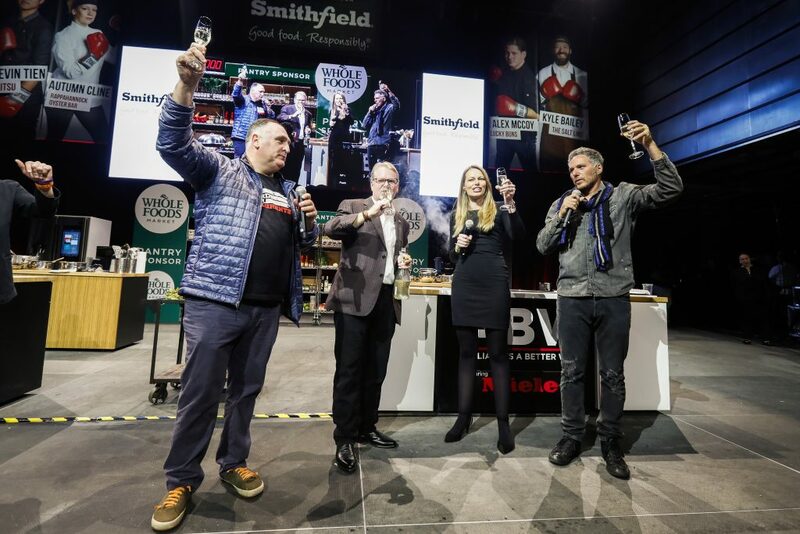 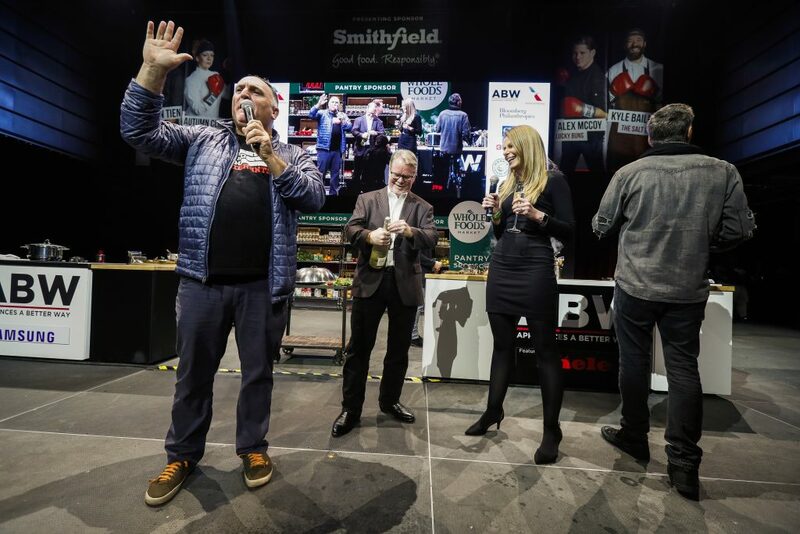 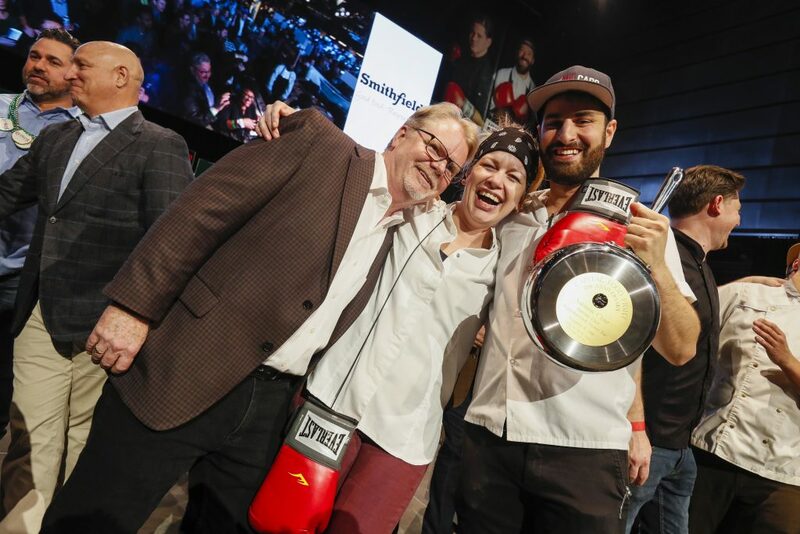 The brainchild of celebrity chef José Andrés (Chef/Owner of ThinkFoodGroup), the event celebrated its fifteenth year this year, as as always, 100% of event proceeds benefit DC Central Kitchen. 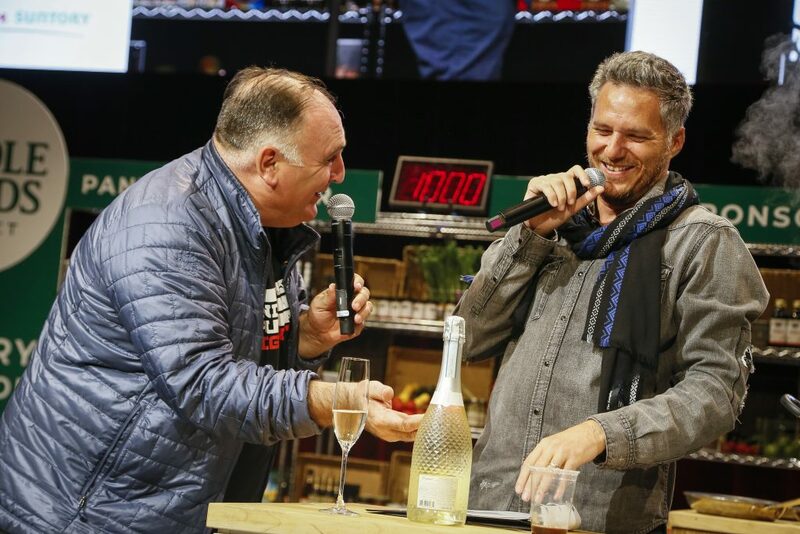 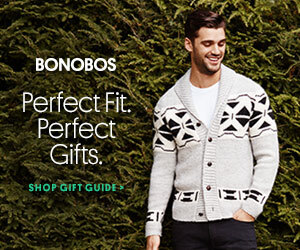 This year’s celebrity hosts included event founder and chair, Andrés, and Spike Mendelsohn. 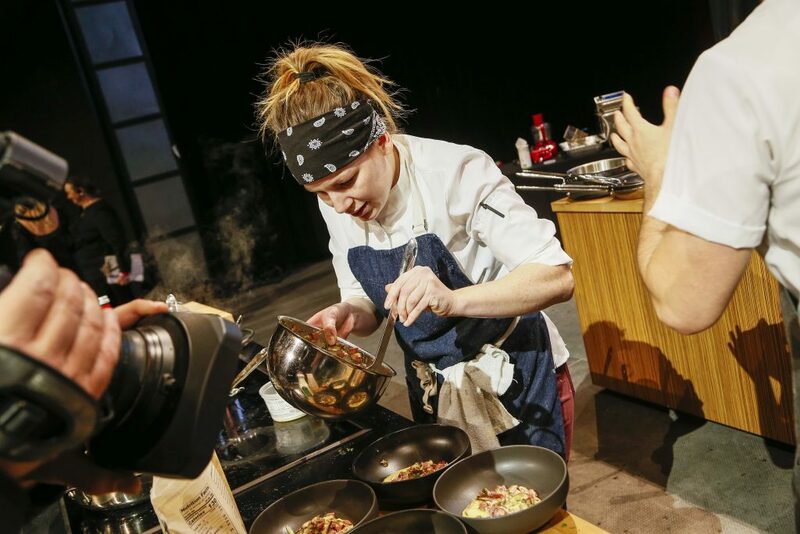 Local chefs Kyle Bailey (The Salt Line), Autumn Cline (Rappahannock Oyster Company), Alex McCoy (Lucky Buns), and Kevin Tien (Himitsu) prepared dishes featuring surprise secret ingredients — including Smithfield shoulder bacon and local white acorn squash — and competed for the votes of celebrity judges, including Bravo “Top Chef” Tom Colicchio, Washington Nationals’ Ryan Zimmerman, Richard On (O.A.R. 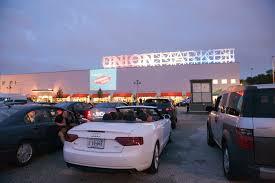 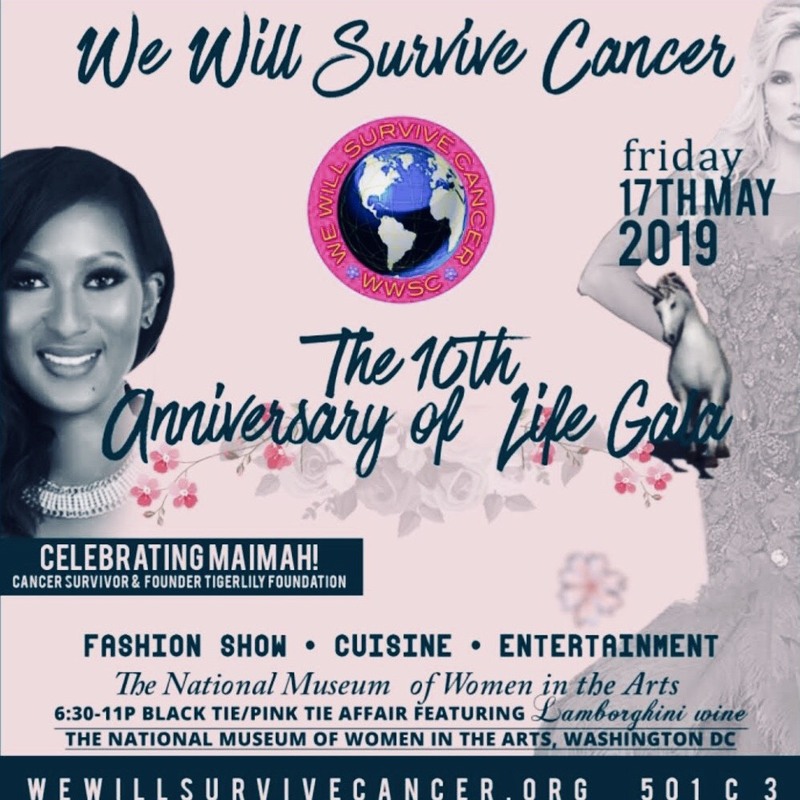 ), Jennifer Carroll (Spice Finch Philadelphia), Andrew Zimmern (“Bizarre Foods), David Guas (Bayou Bakery/”American Grilled”), and Tregaye Fraser (Food Network and Cooking Channel). The event started with a moving tribute to the late Anthony Bourdain. But the overall winner of the night was Autumn Cline, who’ll soon feel right at home serving up her culinary selections at The Wharf. 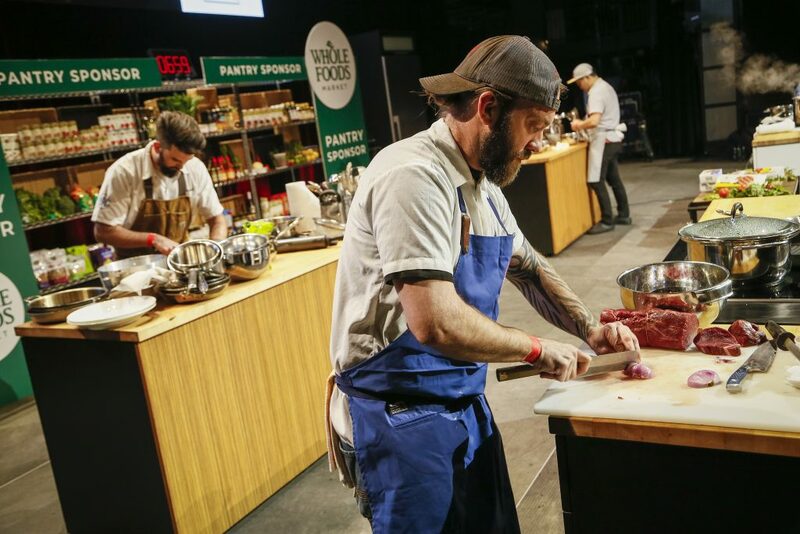 Rappahannock Oyster Company will soon open its second DC location at the nearby Municipal Fish Market in a restored oyster shack that dates back to the early 1900s.